If there is one thing 10mm fans around the country have been asking for, it's a Springfield Armory XDM chambered in this venerable round. Whenever Springfield announced a new firearm prior to this release, the social media comments would light up with folks demanding they release the XDM chambered in 10mm. Well, late in 2018 Springfield officially released the 10 mil XDM and I had requested they send us one to test. What follows is my Springfield Armory XDM 10mm Review. The 10mm cartridge has a cult-like following. It hits hard, and may even be suitable for outdoor carry in black bear country with the right ammo. We put about 200 rounds of ammo through this Springfield Armory XDM 10mm, and I have to say that so far I'm impressed with the results. Out of those 200 rounds, we experienced not a single malfunction. 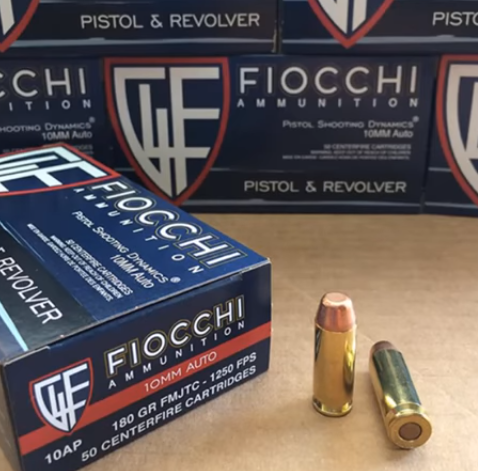 The ammunition we used was Fiocchi 180 grain 10mm that was supplied by Ammo Supply Warehouse. Big shout out to them because they have excellent prices on their various boxes of munitions from big-name brands. This handgun feels great in my hand. The ergonomics are similar to my own, smaller caliber XDM chambered in 9mm. The 10mm model has two additional back straps for further customization. Minus the size and weight, I'd barely be able to tell this 10mm apart from the one I own, even if blindfolded. The 10mm is bigger than the other, but that's about the only difference I was able to see and feel. Of course, they handle differently at the range during live fire. After all, 10mm is an overall bigger cartridge so that's to be expected. The 10mm XDM comes in two different models, the one I was sent is the 4.5 inch barrel model that comes with two magazines and a combat rear sight. It has an MSRP of $652. The 5.25 inch barrel model has an MSRP of $779 and comes with three mags and a fully adjustable rear target sight. My only complaint, if I had to find one, isn't really any fault of the gun itself, but is something consistent with what I hear others talk about with the caliber, itself. I feel as though if I had to do any rapid fire in a concealed carry situation where repeat shots were necessary to stop threats, I'd have a harder time keeping my master shooting grip than I do on the 9mm. It recoils heavier, and found that I had to adjust my grip more often. 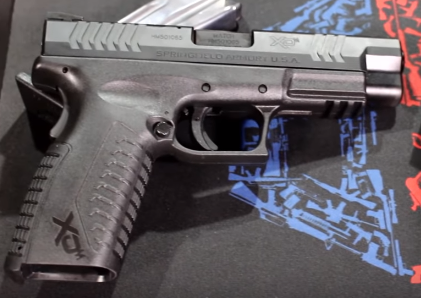 Do you own a Springfield Armory XDM 10mm? Let us know what you think about it in the comments below. Visit Springfield Armory's website here for more information. I have a xdm 9 and the only thing I don’t like is it is really hard to rack the slide and also the slide release is hard to press not for beginners or senior citizens!! 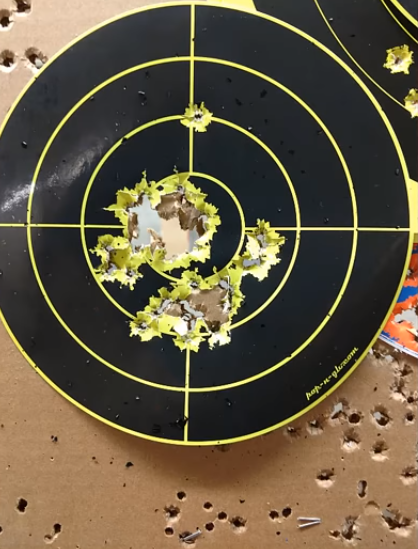 I have a DW Valor 1911 in 10mm and thus far I’ve been able to shoot quarter size 5 shot groups with reloads and factory Ammo (Underwood, SigAmmo, and MagTech) without any issues. MagTech Ammo didn’t perform as well gave me 1” to 2” groups. Before I purchased the 1911 , I shot the Glock 20 and wasn’t impressed with a polymer type pistol in 10mm…Glocks are great in 9mm and 40S&W chambers just not in 10mm. 1911 platform tend to better control the 10mm Auto beast in my opinion.